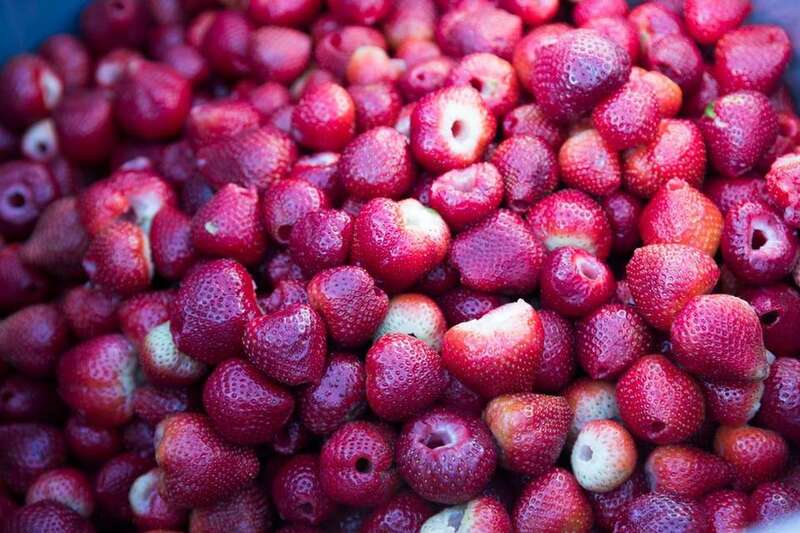 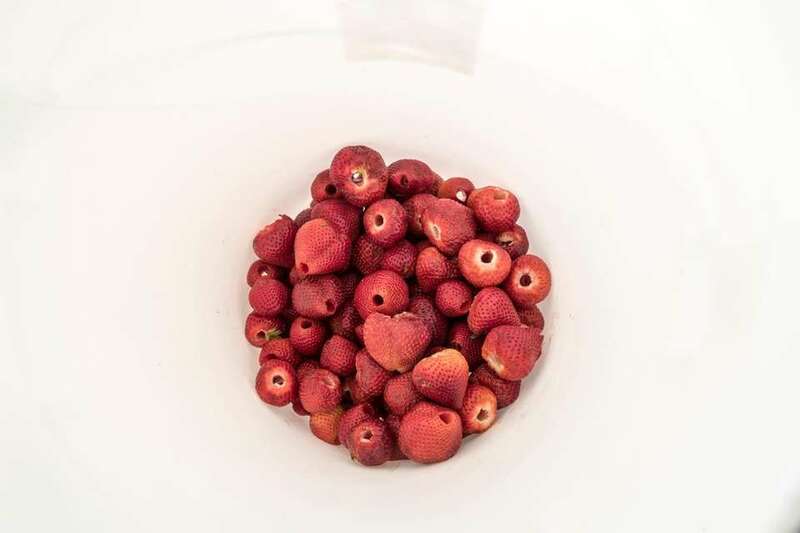 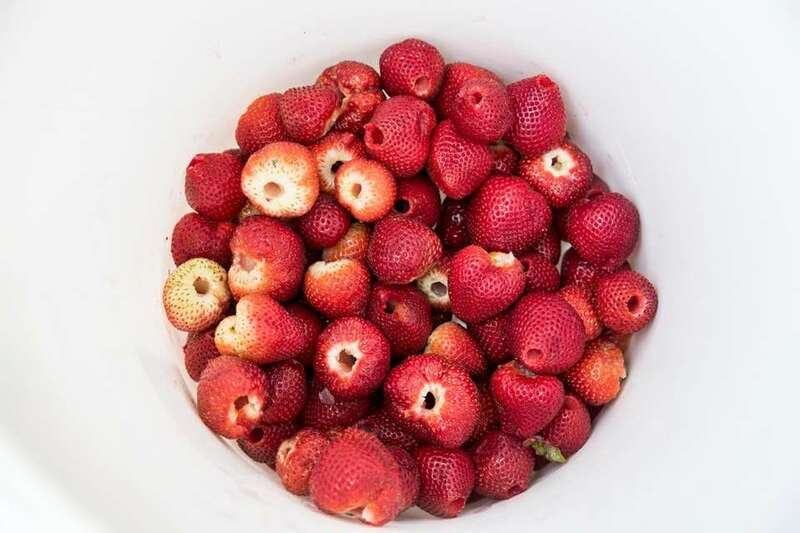 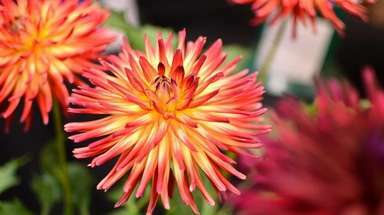 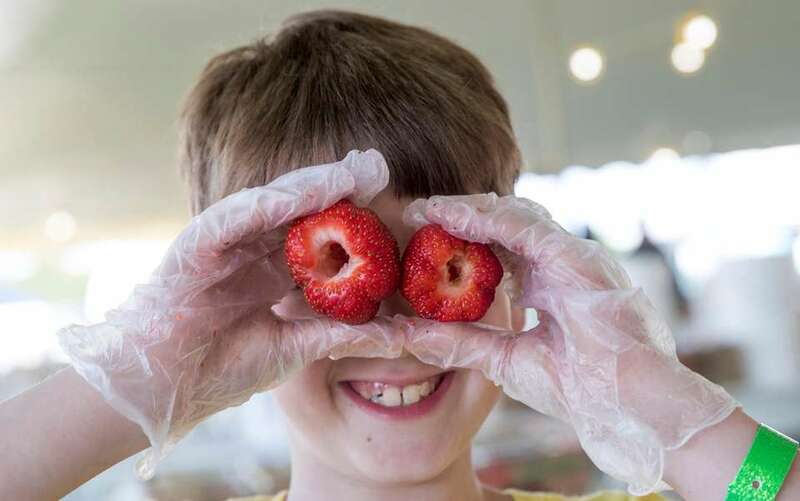 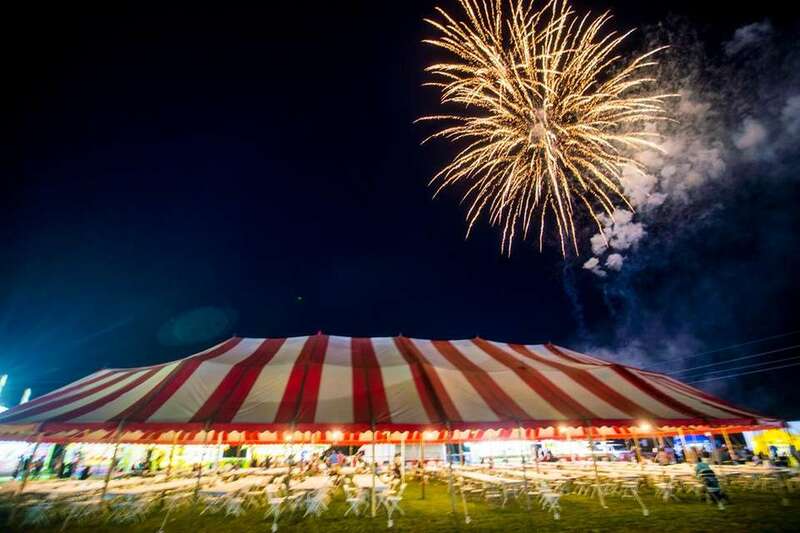 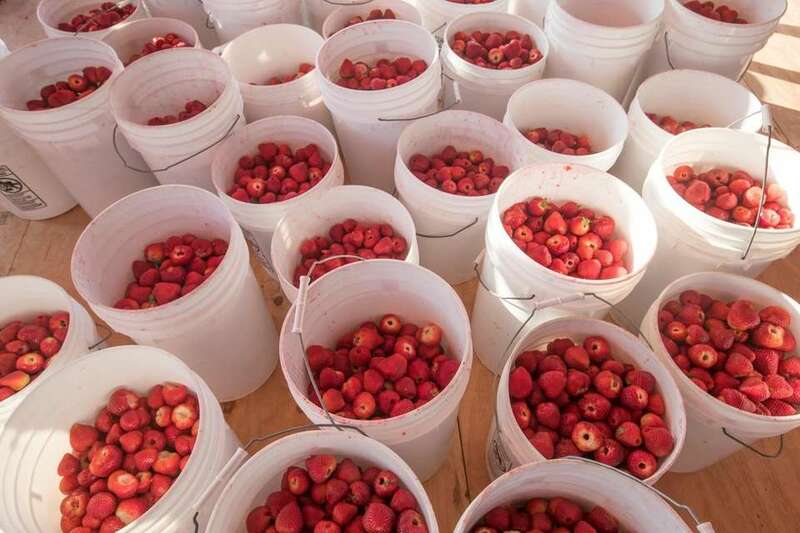 The Mattituck Lions Club Strawberry Festival is the granddaddy of all berry fests, running for four days and drawing thousands to the rural farmland grounds of Mattituck each year. 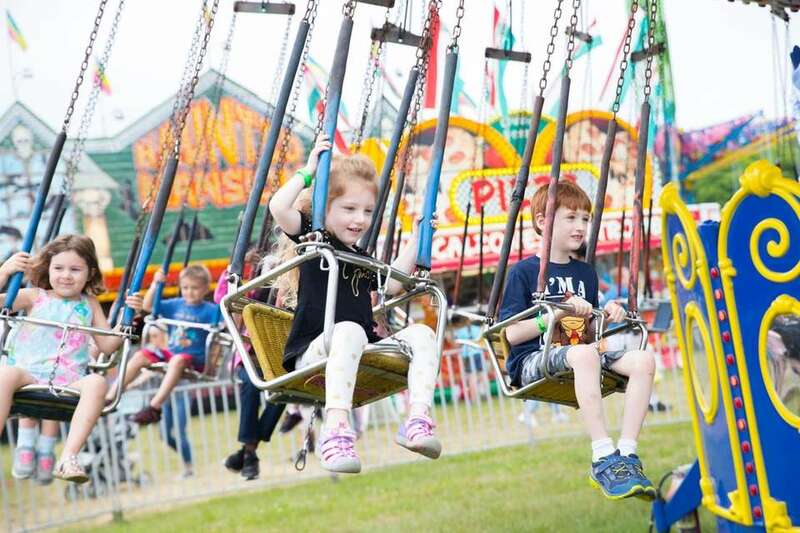 Here are highlights of the rides, strawberry confections, entertainment and more at the 2017 festival. 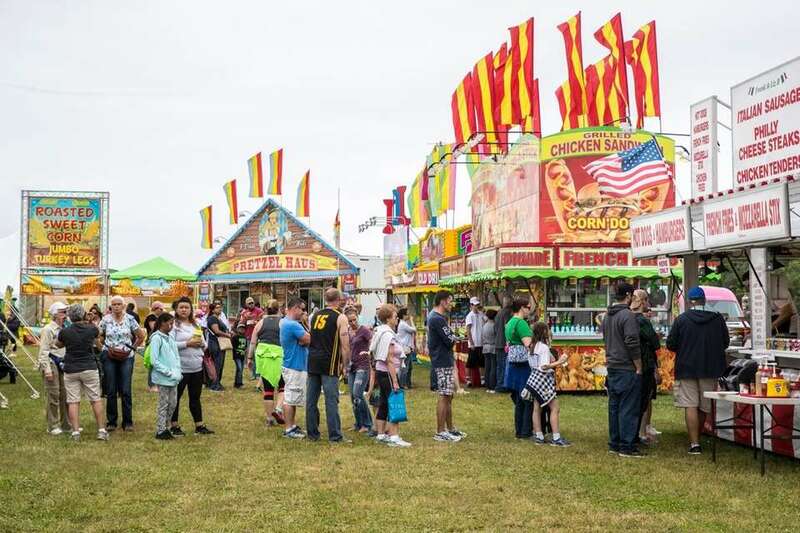 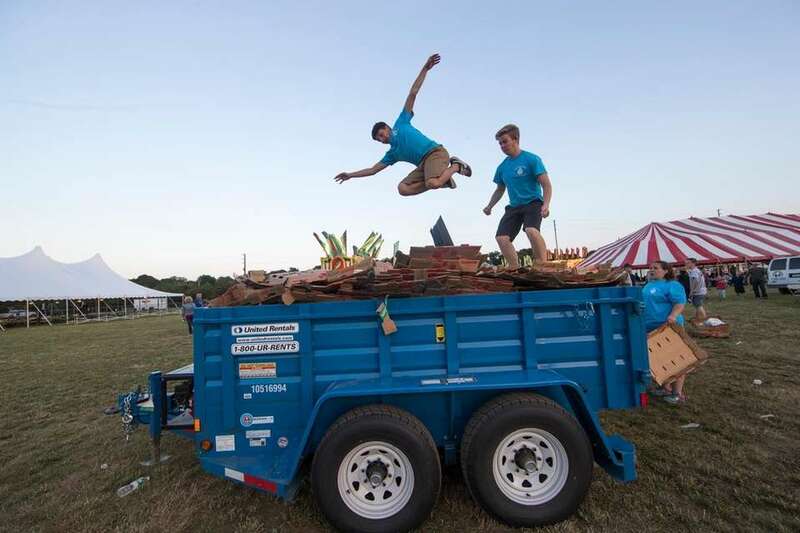 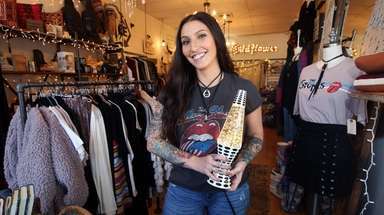 The four-day Strawberry Festival in Mattituck offers dozens of food trucks, rides games and more. 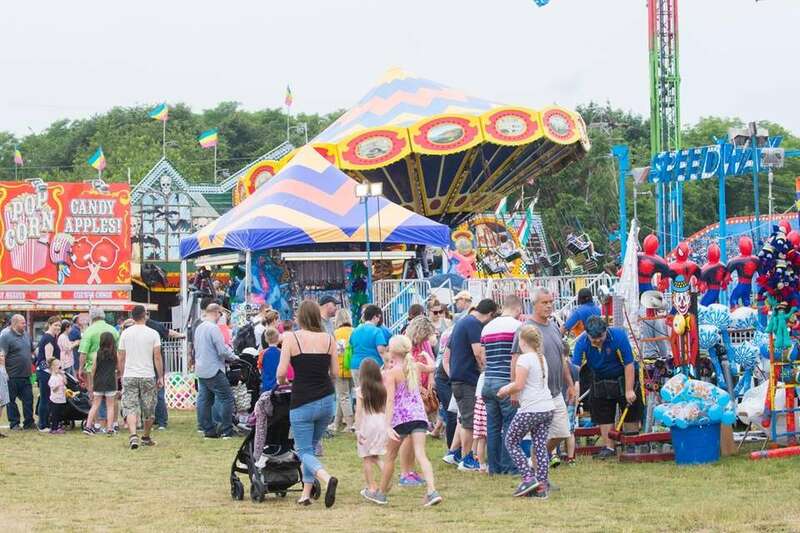 Crowds enjoy carnival games on Saturday, June 17, 2017. 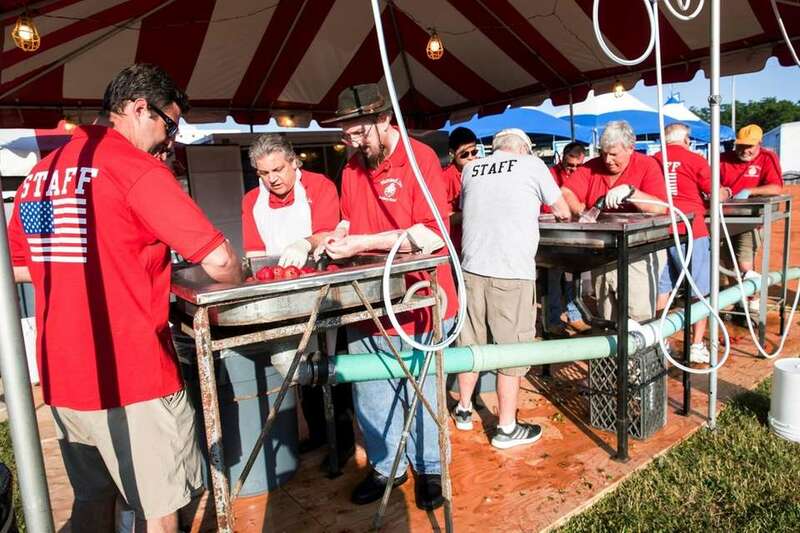 A Lions Club member prepares strawberry shortcake at the 63rd annual Strawberry Festival on Saturday, June 17, 2017. 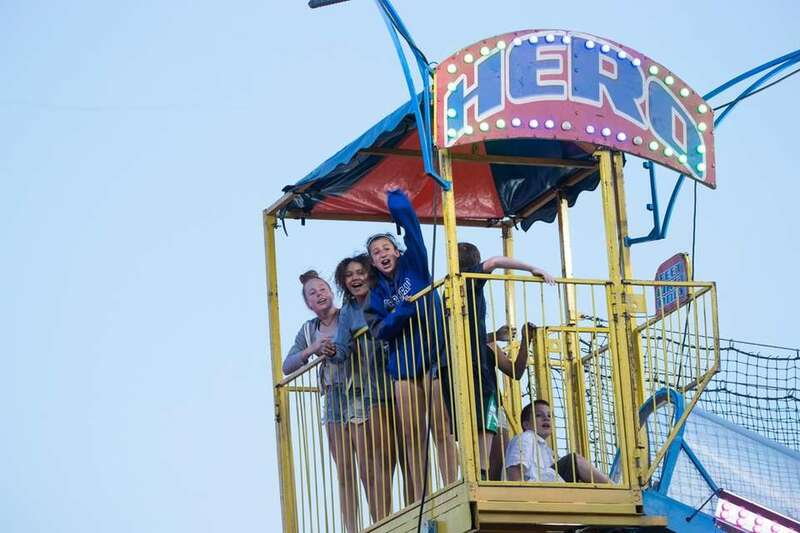 Kids enjoy amusement park rides at the 63rd annual Mattituck Lions Club Strawberry Festival on Saturday, June 17, 2017. 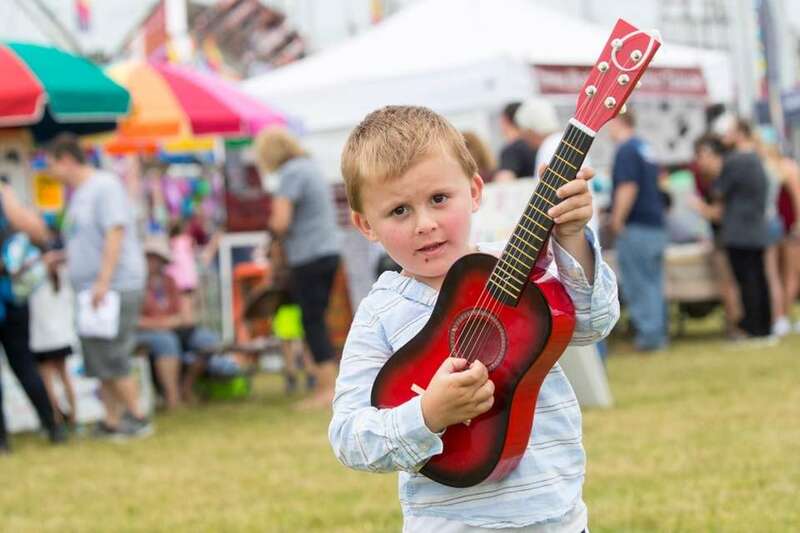 Ryan Reynolds 3, from Farmingville does some entertaining at the 63rd annual Mattituck Lions Club Strawberry Festival on Saturday, June 17, 2017. 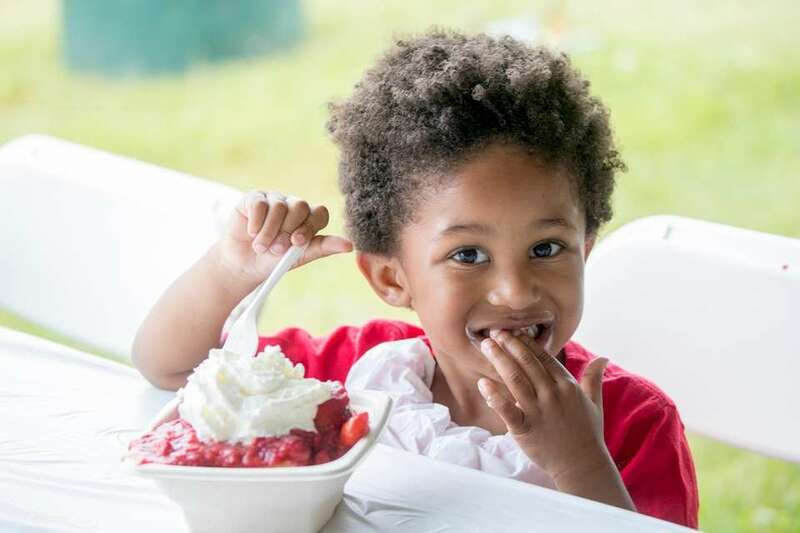 Kielan Lyburd, 5, from Ridge dives right into a strawberry shortcake at the 63rd annual Mattituck Lions Club Strawberry Festival on Saturday, June 17, 2017. 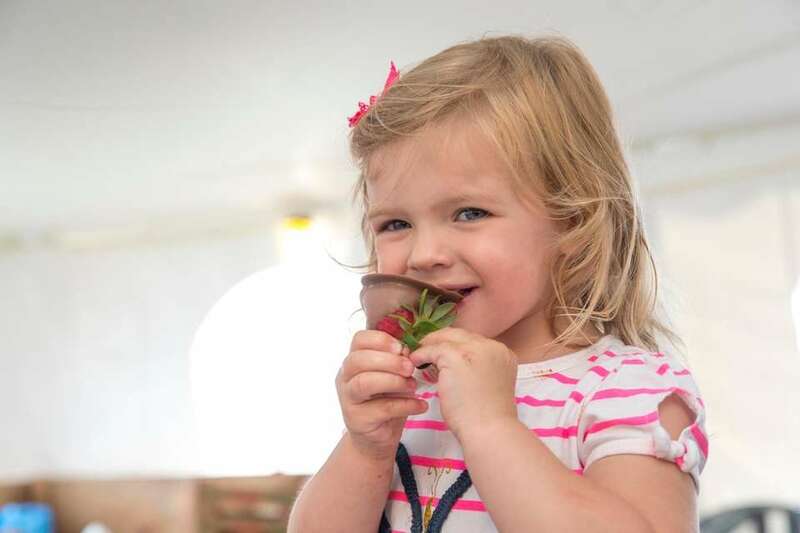 Victoria Scholtz, 2, from Mattituck, takes a bite of a chocolate-covered strawberry at the 63rd annual Mattituck Lions Club Strawberry Festival on Saturday, June 17, 2017. 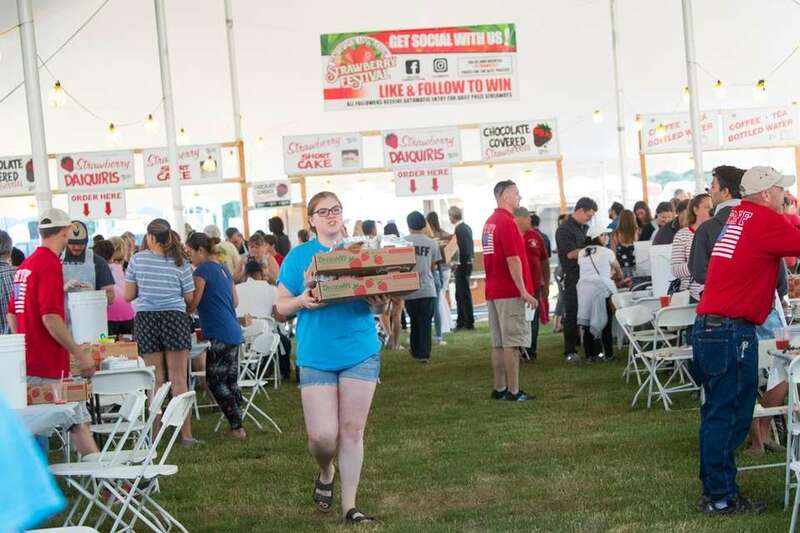 Crowds get food at the 63rd annual Mattituck Lions Club Strawberry Festival on Saturday, June 17, 2017. 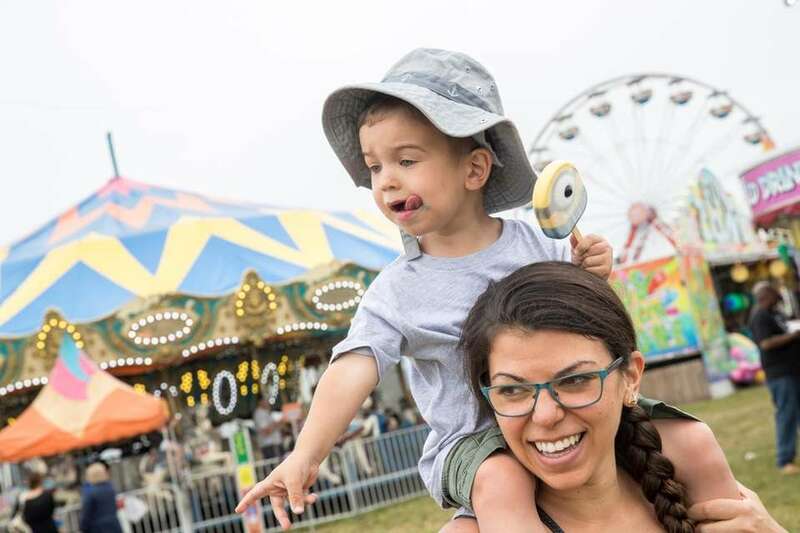 Robby Haase, 2, of Orient hangs with his mom Rachael Haase at the 63rd annual Mattituck Lions Club Strawberry Festival on Saturday, June 17, 2017. 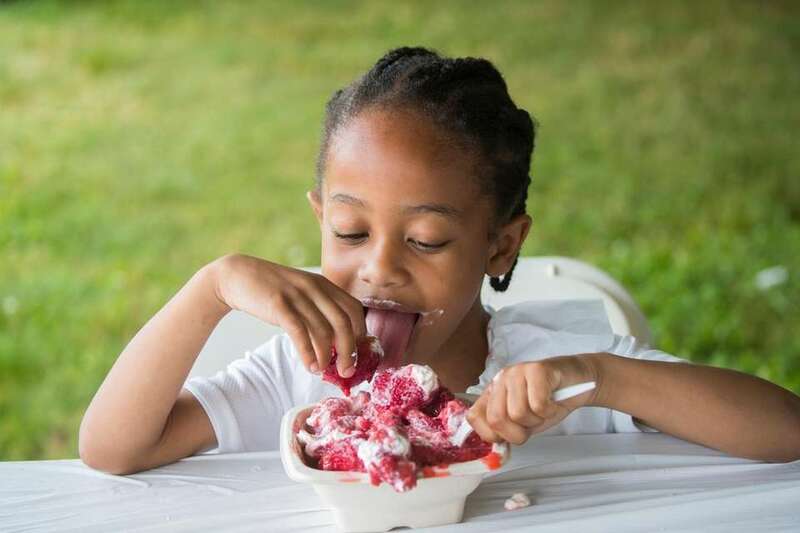 Kiernan Lyburd, 3, from Ridge dives right into a strawberry shortcake, a favorite at the 63rd annual Mattituck Lions Club Strawberry Festival on Saturday, June 17, 2017. 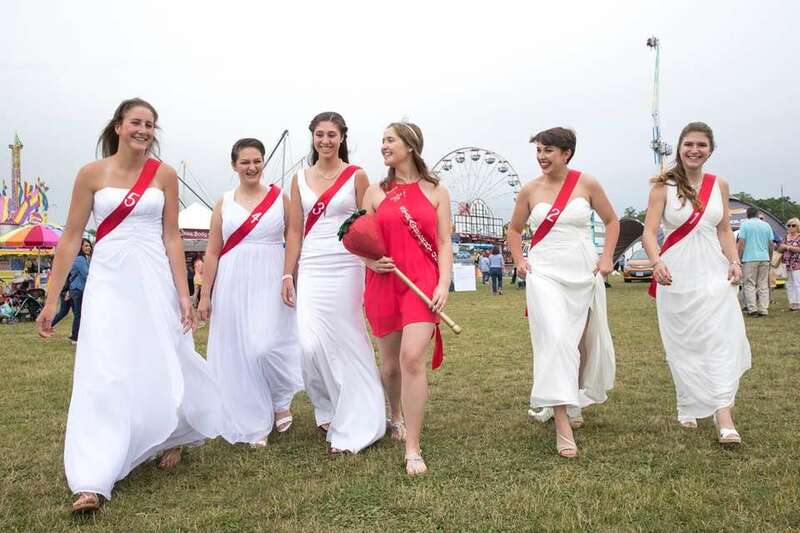 Madison Osler, 17, of Mattituck, Emilianne Palermo, 16, of Southold, Brianna Fox, 16, of Mattituck, 2016 Strawberry Queen Joy Davis, 17, of Mattituck, Ashley Hilary, 16, of Southold, and Larysa Andreadis, 17, of Mattituck at the 63rd annual Mattituck Lions Club Strawberry Festival on Saturday, June 17, 2017. 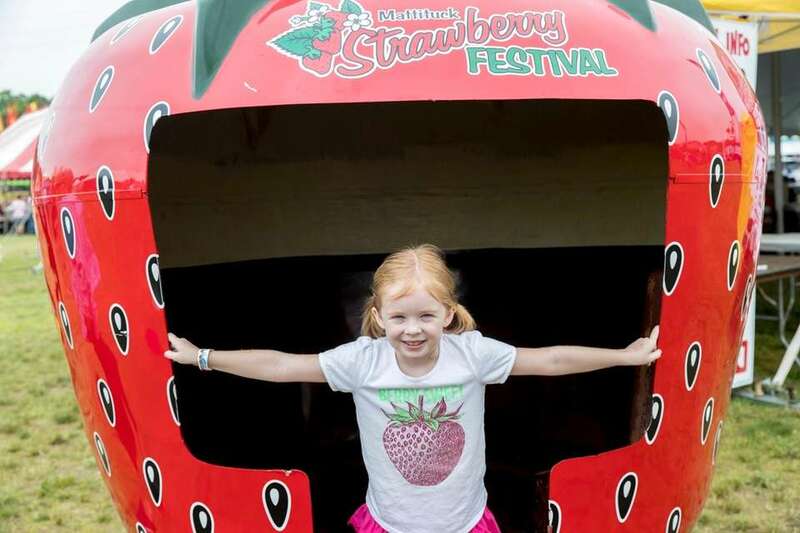 Amber Kollmann, 6, from North Babylon, poses at the 63rd annual Mattituck Lions Club Strawberry Festival on Saturday, June 17, 2017. 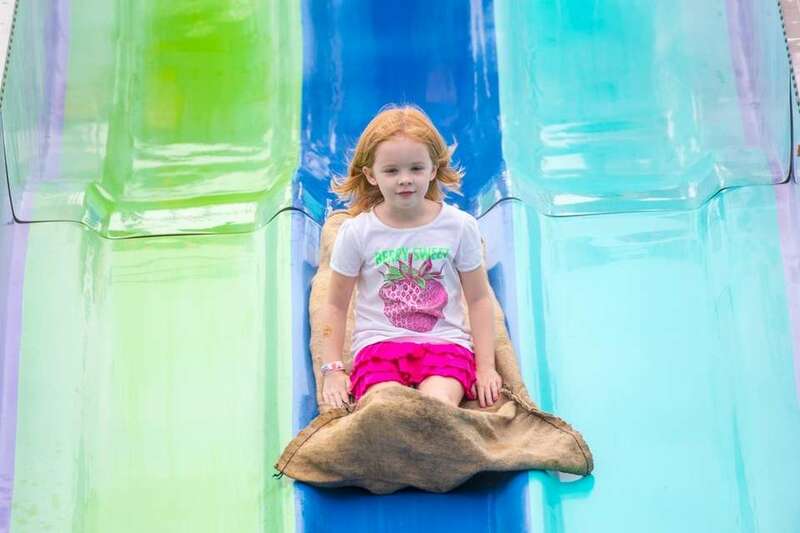 Amber Kollmann, 6, from North Babylon, travels down the potato sack slide at the 63rd annual Mattituck Lions Club Strawberry Festival on Saturday, June 17, 2017. 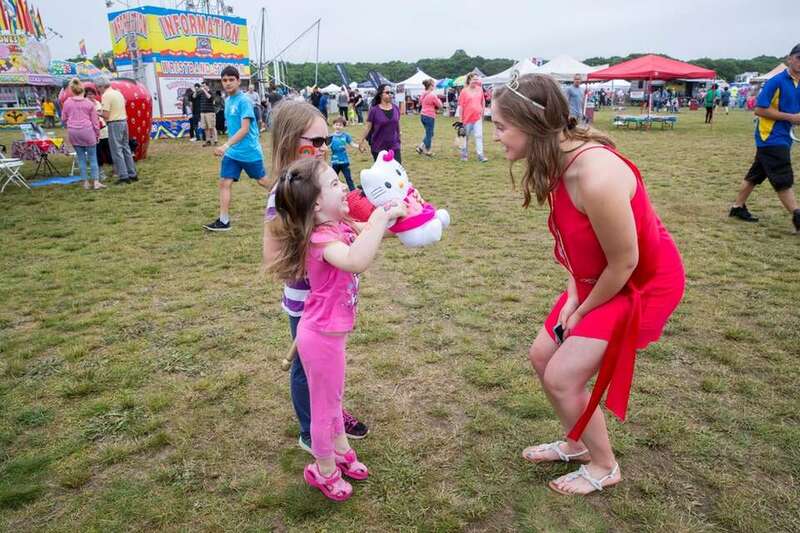 The 2016 Strawberry Queen, Joy Davis, 17, meets fans Alex Christensen, 4, from Bethpage and her sister Casey, 7, at the 63rd annual Mattituck Lions Club Strawberry Festival on Saturday, June 17, 2017. 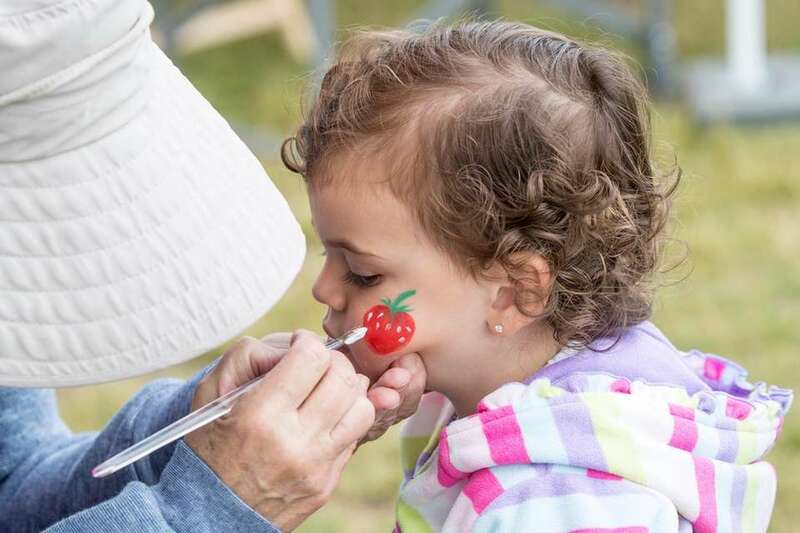 Lia LaMaina, 2, from Ronkonkoma, gets her face painted at the 63rd annual Mattituck Lions Club Strawberry Festival on Saturday, June 17, 2017. 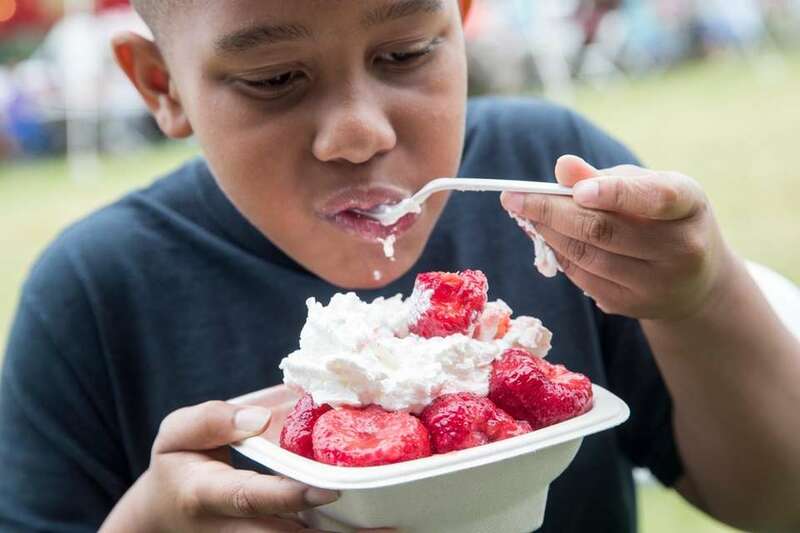 Frank Lyburd, 8, from Ridge, dives into a strawberry shortcake, a favorite at the 63rd annual Mattituck Lions Club Strawberry Festival on Saturday, June 17, 2017. 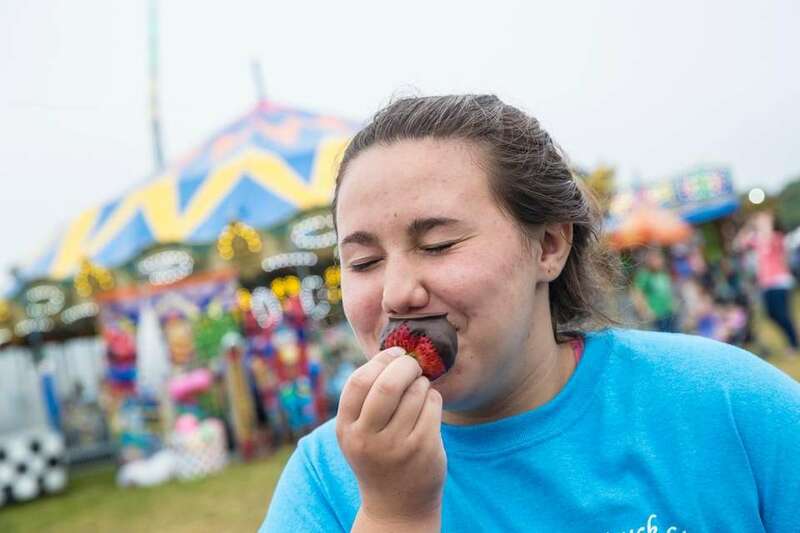 Teagan Nine, 15, from Mattituck, bites into a chocolate-covered strawberry at the 63rd annual Mattituck Lions Club Strawberry Festival on Saturday, June 17, 2017. 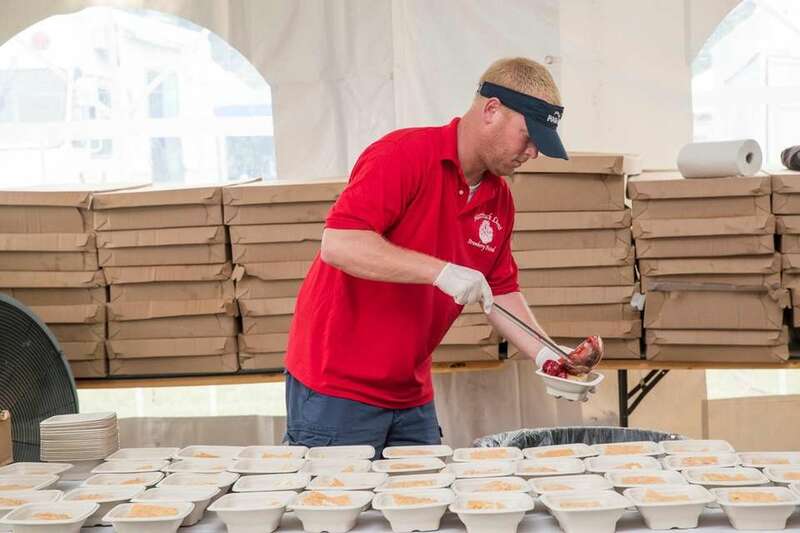 Volunteers crush cartons of strawberry boxes at the 63rd annual Mattituck Lions Club Strawberry Festival on Thursday, June 15, 2017. 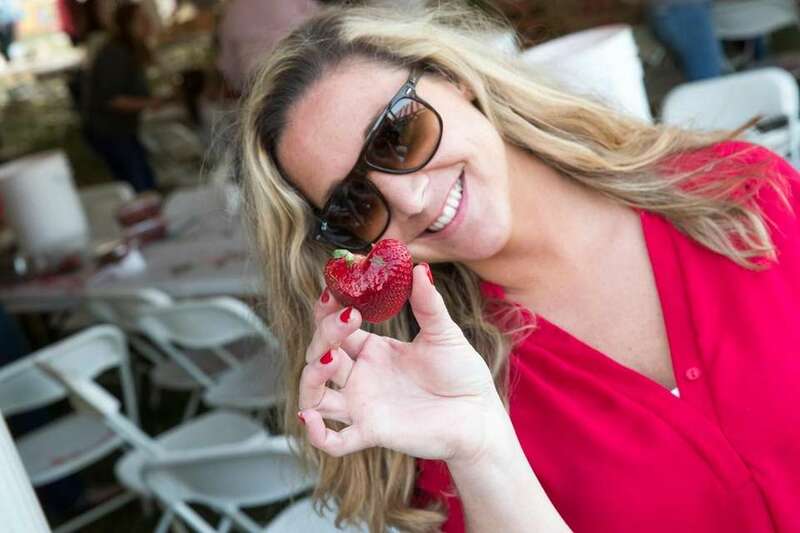 Erin Molloy from Hampton Bays finds a heart-shaped strawberry while hulling strawberries at the 63rd annual Mattituck Lions Club Strawberry Festival on Thursday, June 15, 2017. 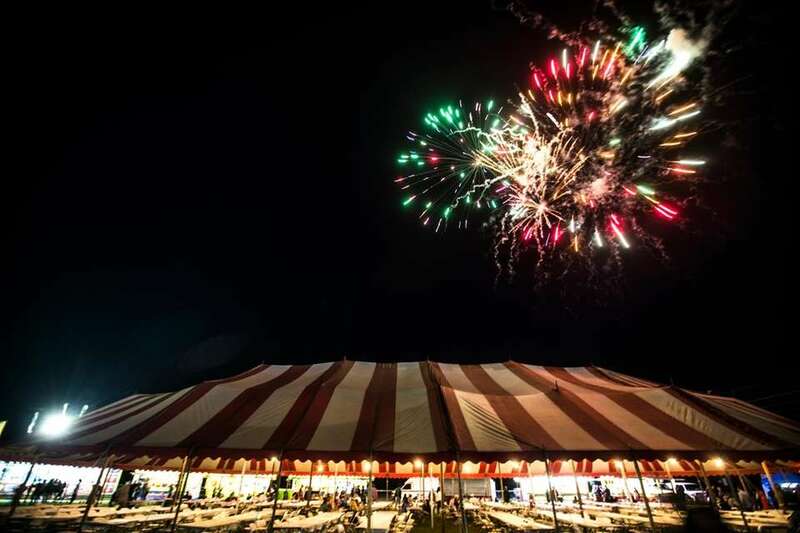 A display of fireworks the Mattituck Lions Club Strawberry Festival on Thursday, June 15, 2017. 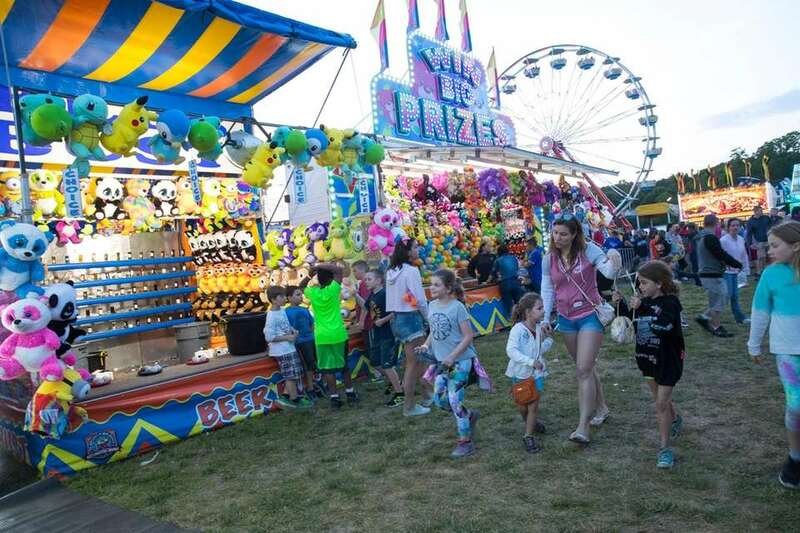 A carnival game at the Mattituck Lions Club Strawberry Festival on Thursday, June 15, 2017. 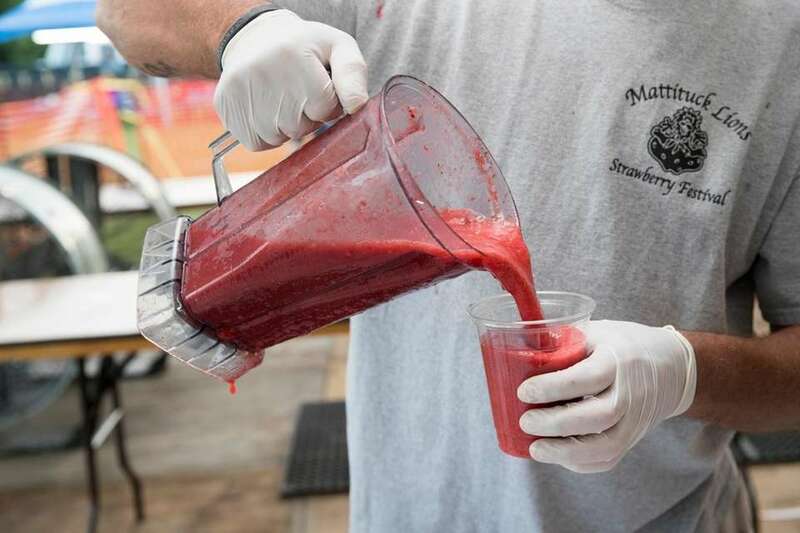 Strawberry daiquiris, a favorite at the Mattituck Lions Club Strawberry Festival on Thursday, June 15, 2017. 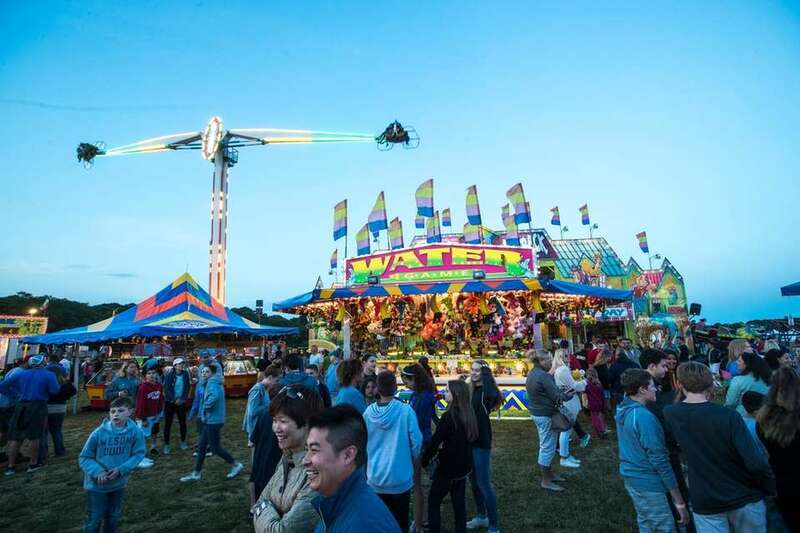 Carnival rides and games at the Mattituck Lions Club Strawberry Festival on Thursday, June 15, 2017. 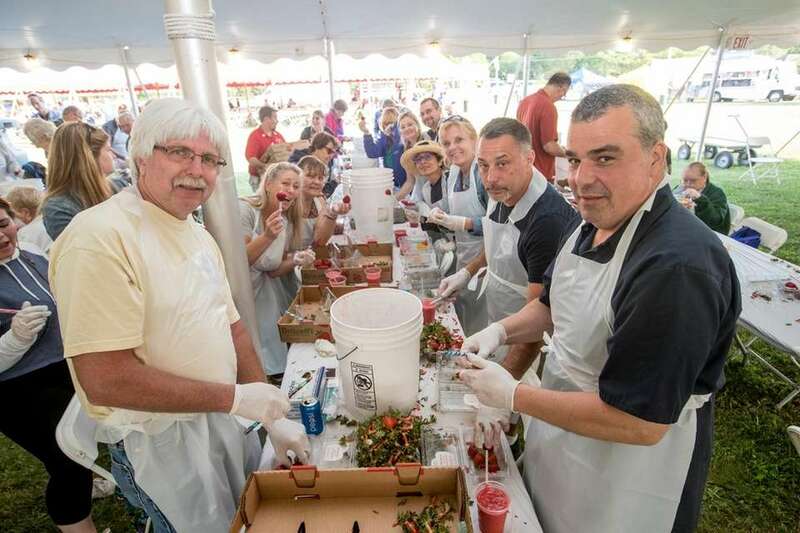 Friends gather to hull strawberries at the Mattituck Lions Club Strawberry Festival on Thursday, June 15, 2017. 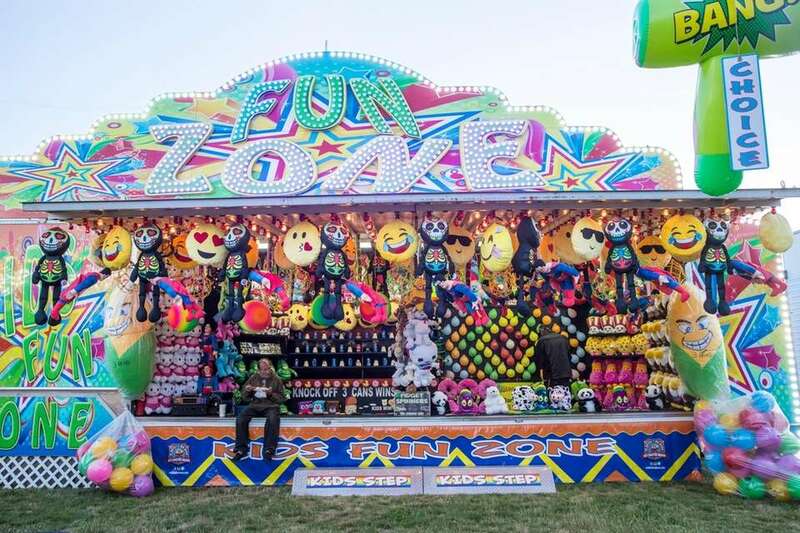 A carnival attraction at the Mattituck Lions Club Strawberry Festival on Thursday, June 15, 2017. 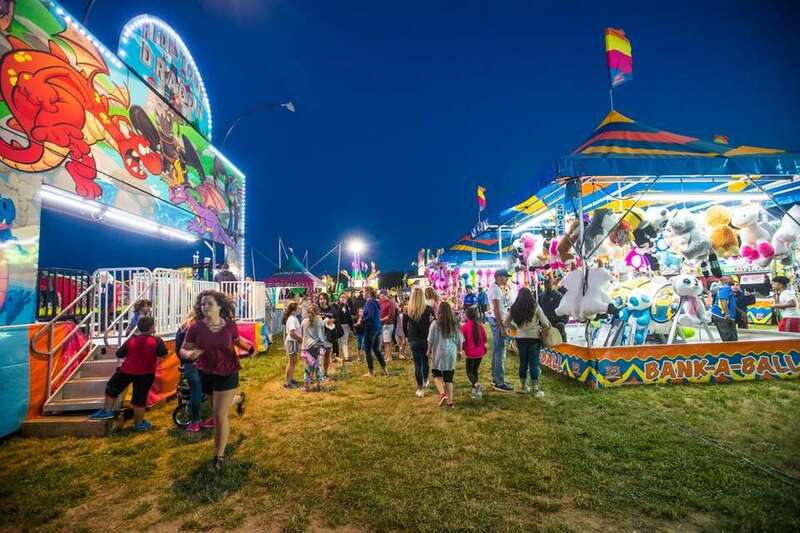 Carnival attractions at the Mattituck Lions Club Strawberry Festival on Thursday, June 15, 2017. 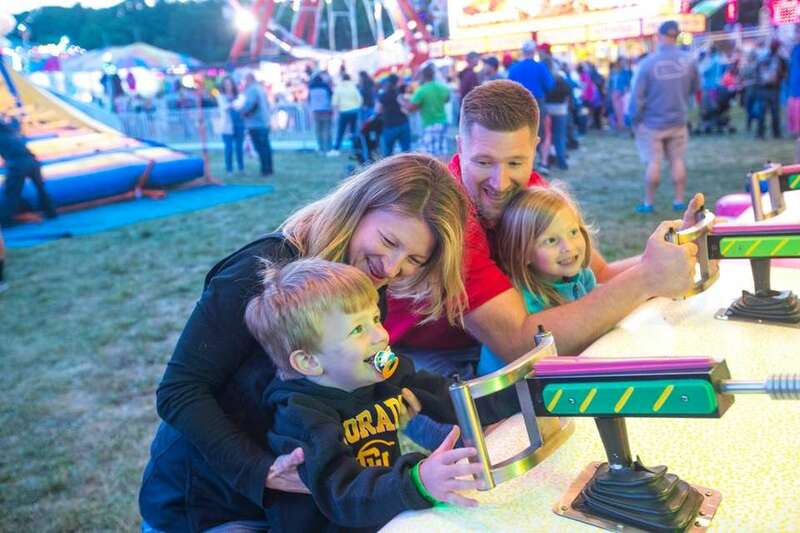 The Wahl family from Mattituck -- Erin with son Beckham, 14 months, and Jason with daughter, Holland, 2 -- play a carnival game at the Mattituck Lions Club Strawberry Festival on Thursday, June 15, 2017. 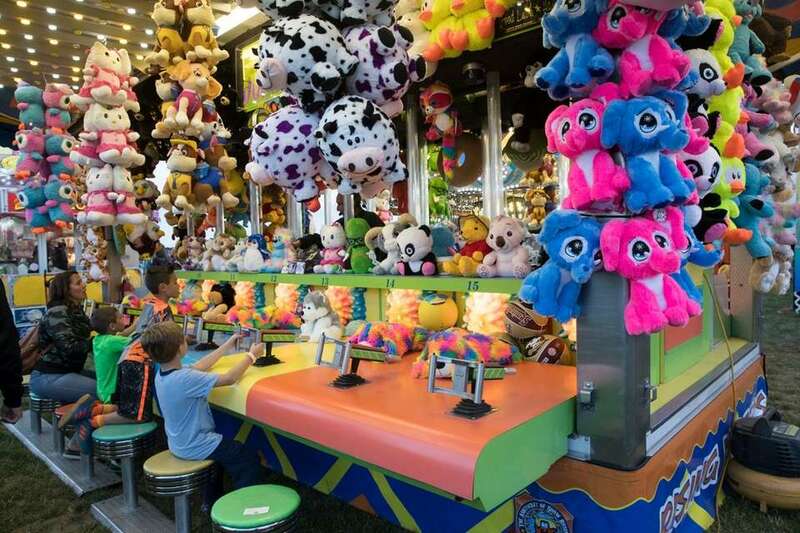 Carnival games at the Mattituck Lions Club Strawberry Festival on Thursday, June 15, 2017. 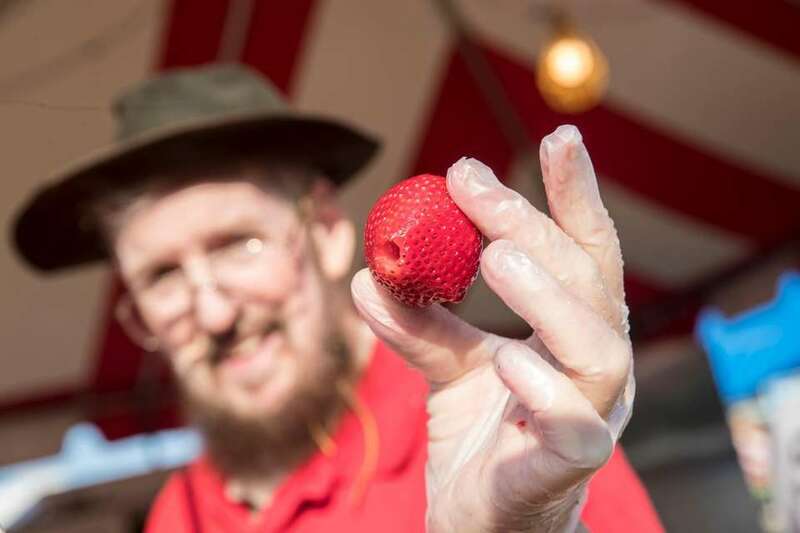 Lions Club member Al Richards holds a strawberry at the 63rd annual Mattituck Lions Club Strawberry Festival on Thursday, June 15, 2017. 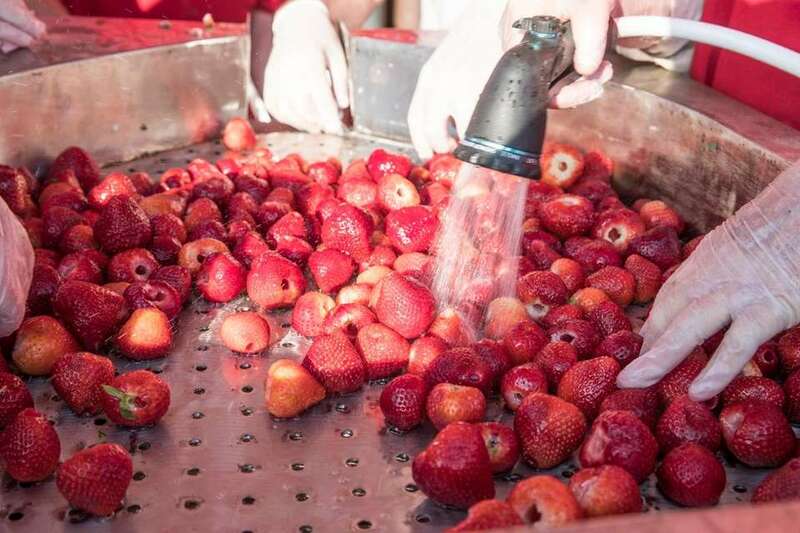 Lions Club members wash strawberries at the 63rd annual Mattituck Lions Club Strawberry Festival on Thursday, June 15, 2017. 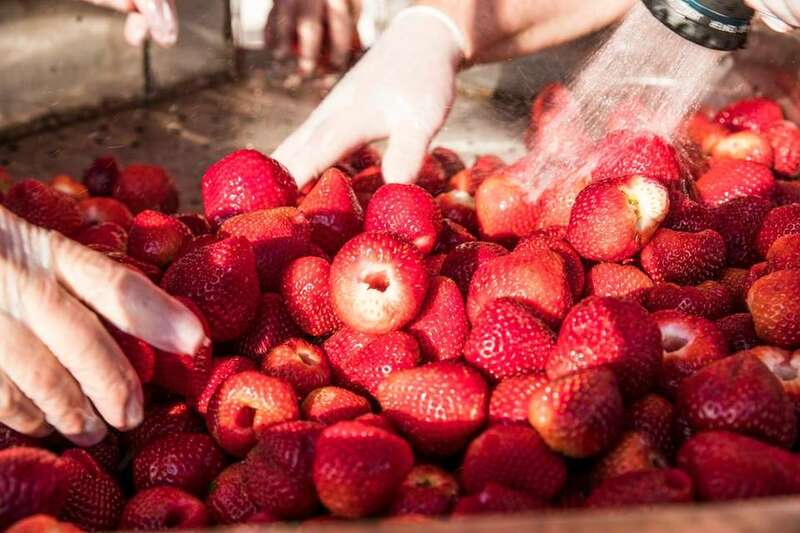 Buckets of strawberries at the 63rd annual Mattituck Lions Club Strawberry Festival on Thursday, June 15, 2017. 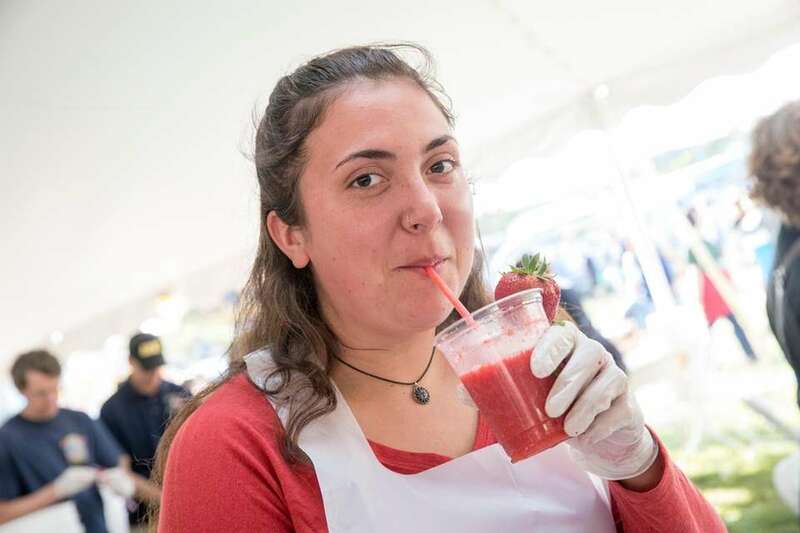 Abby Scharadin from Southold has a strawberry daiquiri, a favorite at the 63rd annual Mattituck Lions Club Strawberry Festival on Thursday, June 15, 2017. 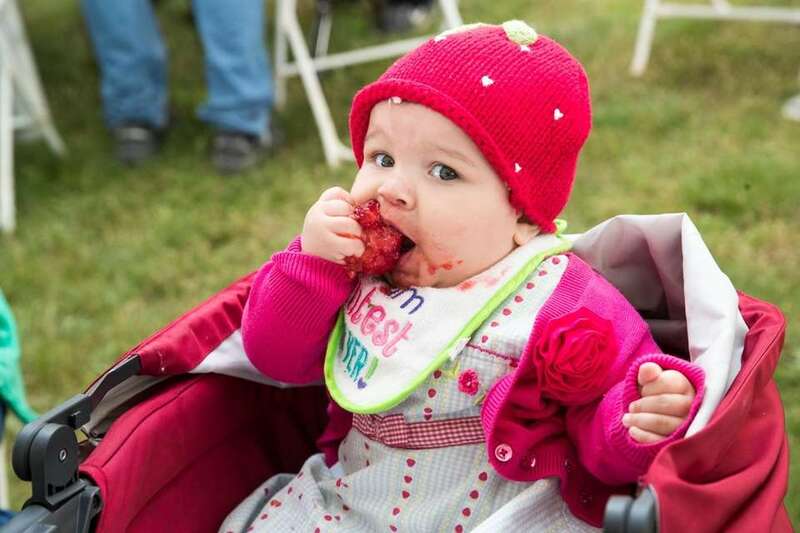 Lillee Farmer, 9 months, from Mattituck, eats strawberries at the 63rd annual Mattituck Lions Club Strawberry Festival on Thursday, June 15, 2017. 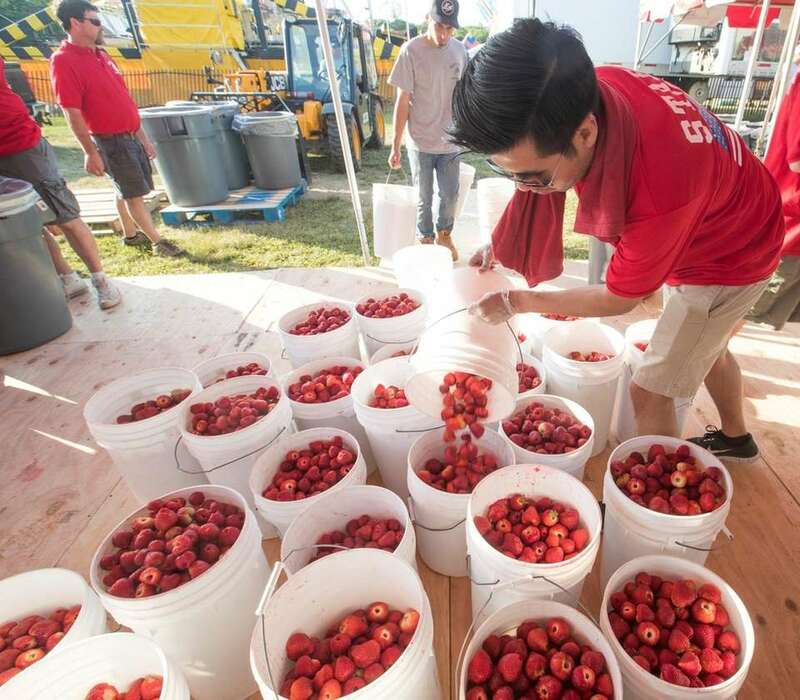 Lions Club member Manny Merino from Greenport fills buckets of strawberries at the 63rd annual Mattituck Lions Club Strawberry Festival on Thursday, June 15, 2017. 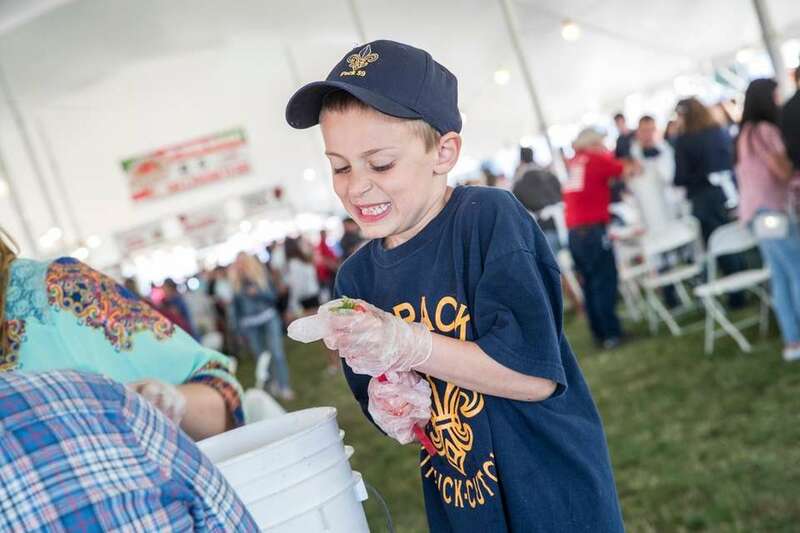 Michael Viggiano, 7, from Cutchogue, hulls strawberries at the 63rd annual Mattituck Lions Club Strawberry Festival on Thursday, June 15, 2017. 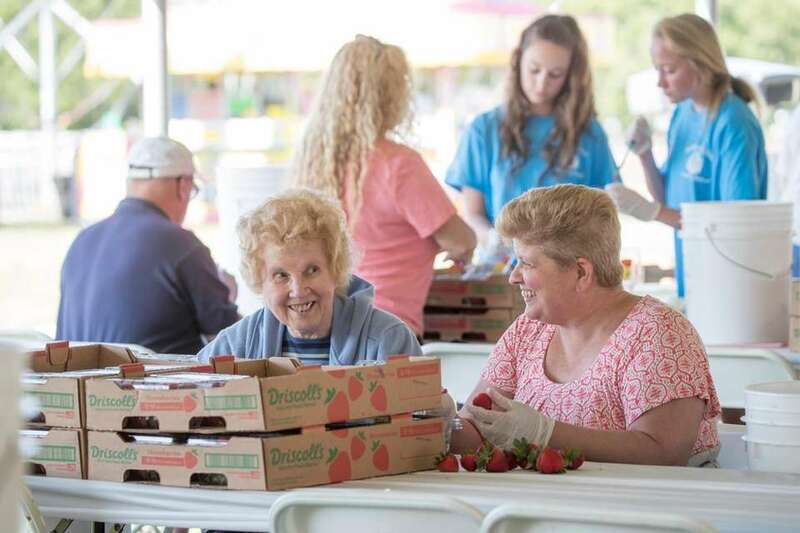 Lions Club members hull strawberries at the 63rd annual Mattituck Lions Club Strawberry Festival on Thursday, June 15, 2017. 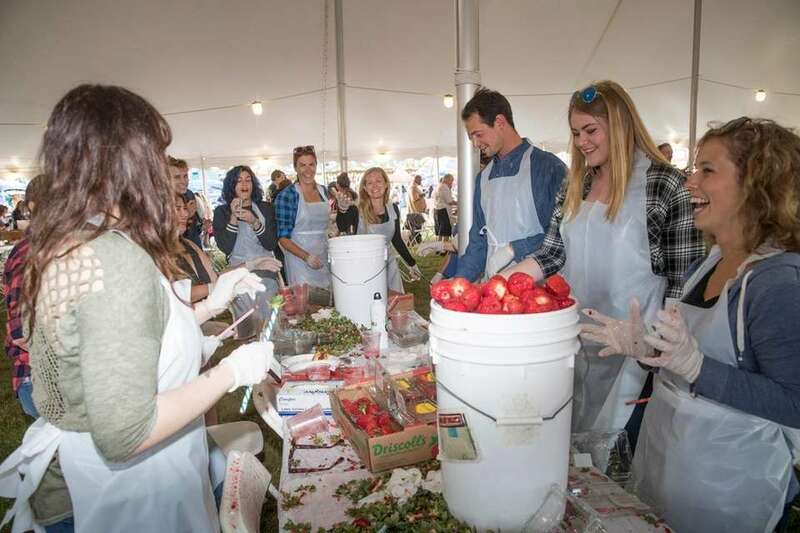 Hulling strawberries at the 63rd annual Mattituck Lions Club Strawberry Festival on Thursday, June 15, 2017. 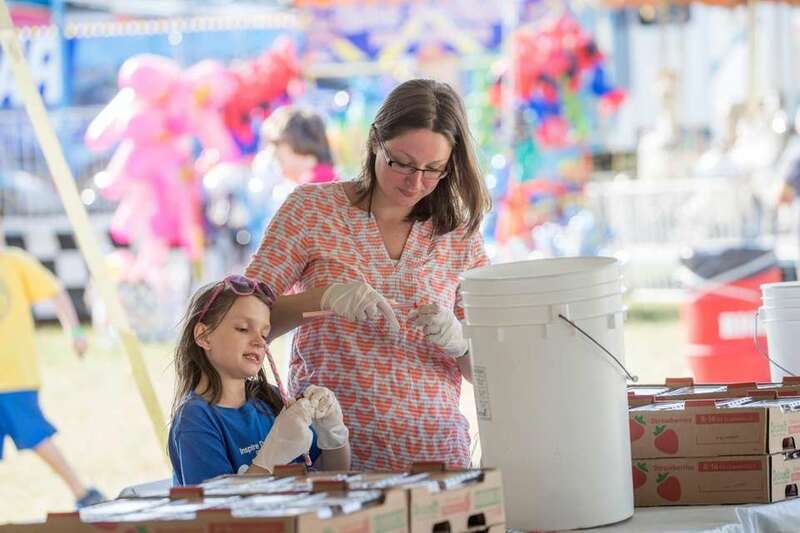 Amanda Chapman from Southold and her daughter Audrey, 9, hull strawberries at the 63rd annual Mattituck Lions Club Strawberry Festival on Thursday, June 15, 2017. 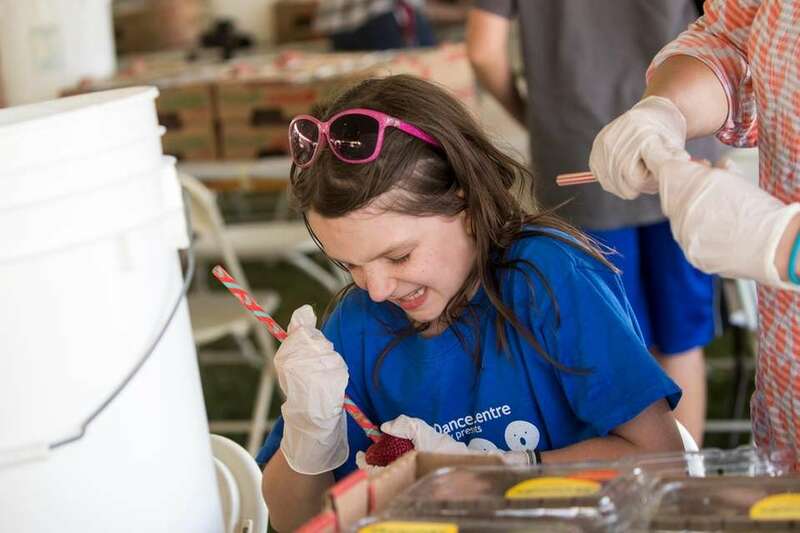 Audrey Chapman, 9, from Southold hulls strawberries at the 63rd annual Mattituck Lions Club Strawberry Festival on Thursday, June 15, 2017. 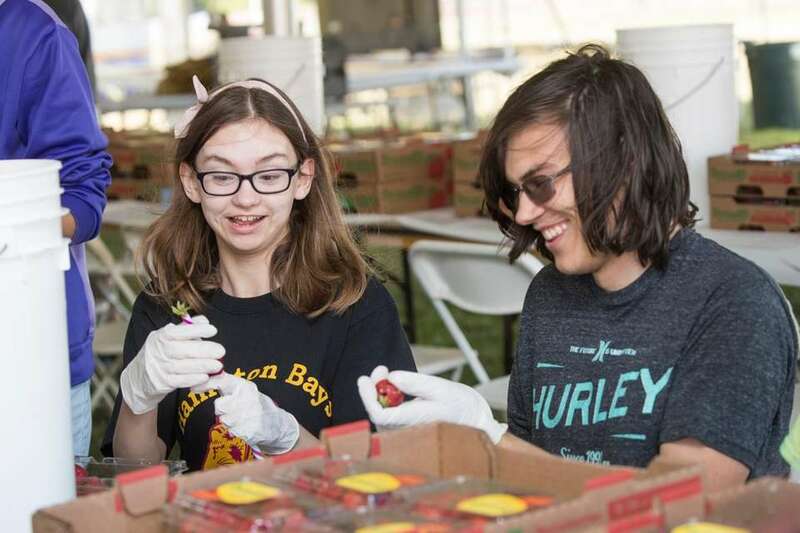 Hannah Goetz, 17, left, and Riley Kangas, 16, both from Hampton Bays, hull strawberries at the 63rd annual Mattituck Lions Club Strawberry Festival on Thursday, June 15, 2017. 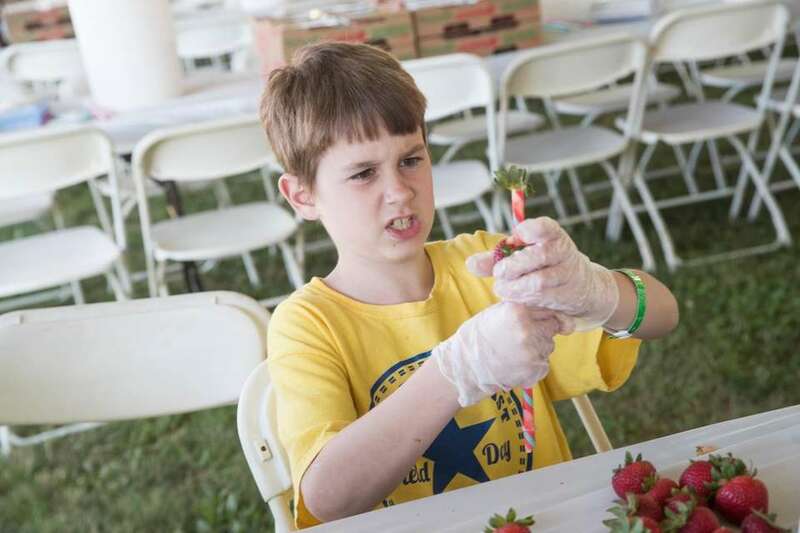 Landon Porter, 9, from Mattituck, hulls strawberries at the 63rd annual Mattituck Lions Club Strawberry Festival on Thursday, June 15, 2017. 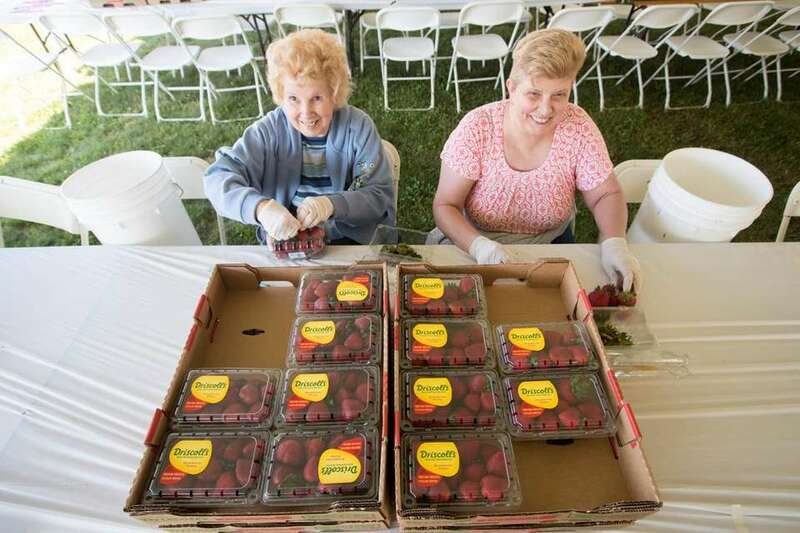 Joyce Coe, left, and Darla Avila, both from Medford, hull strawberries at the 63rd annual Mattituck Lions Club Strawberry Festival on Thursday, June 15, 2017. 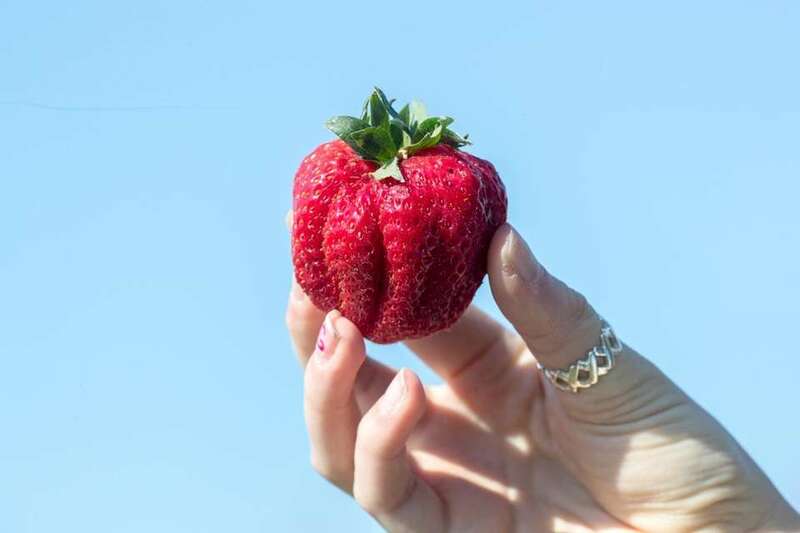 A ripe strawberry at the 63rd annual Mattituck Lions Club Strawberry Festival on Thursday, June 15, 2017. 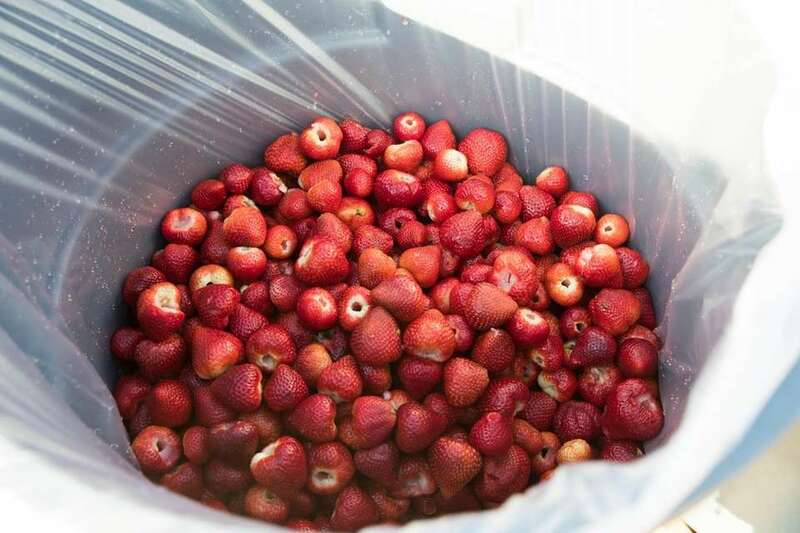 A bucket of hulled strawberries at the 63rd annual Mattituck Lions Club Strawberry Festival on Thursday, June 15, 2017. 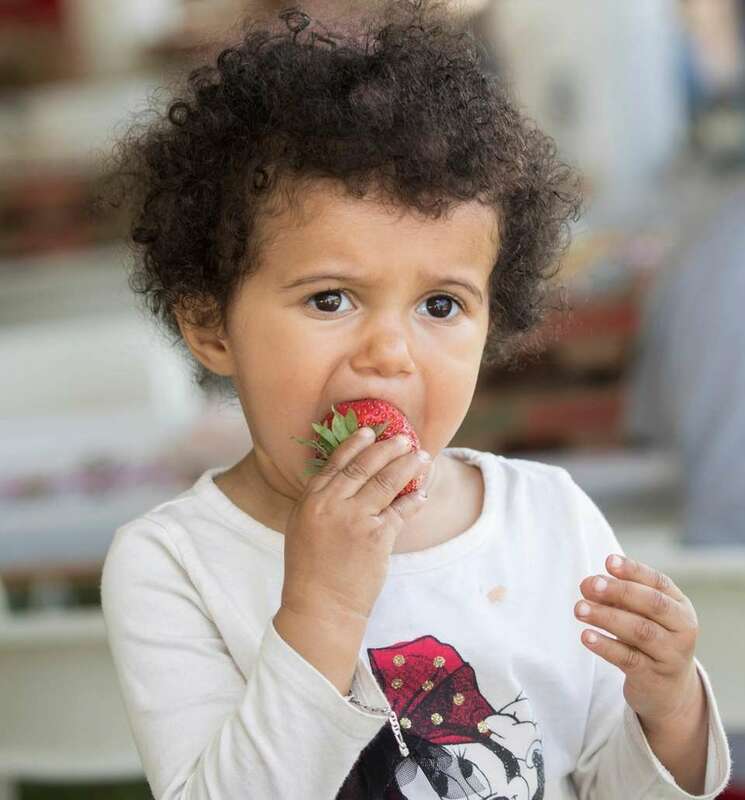 Destiny Rodriguez, 2, from Mastic Beach, takes a bite out of a strawberry at the 63rd annual Mattituck Lions Club Strawberry Festival on Thursday, June 15, 2017. 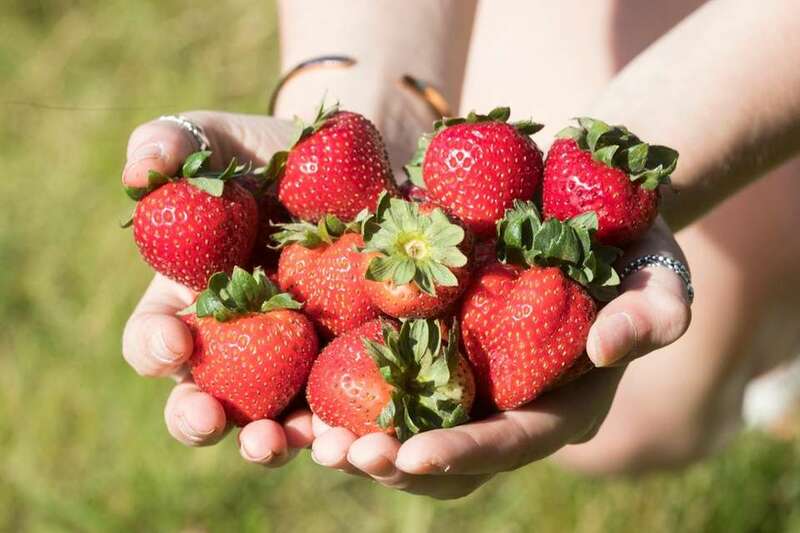 A handful of strawberries at the 63rd annual Mattituck Lions Club Strawberry Festival on Thursday, June 15, 2017.